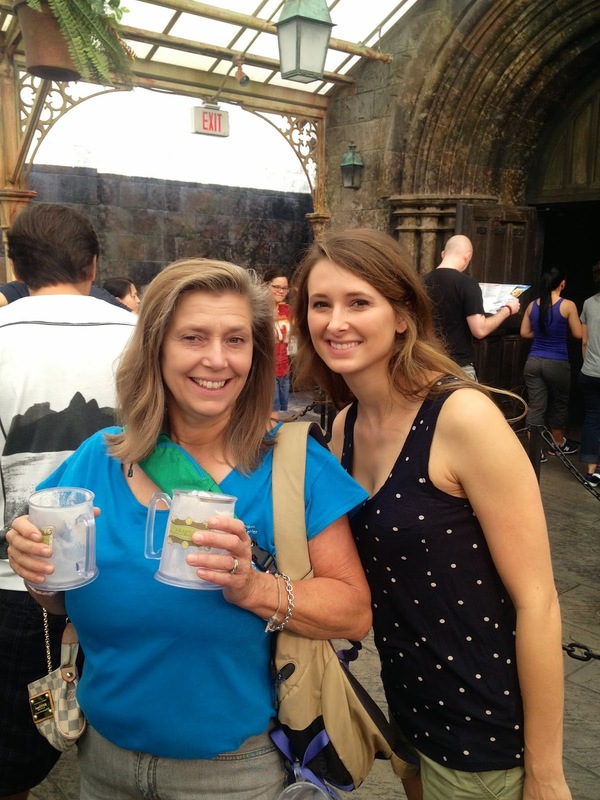 My mom and sisters and I have almost made it a tradition to head down to Orlando and spend a weekend at Disney World and The Wizarding World of Harry Potter. 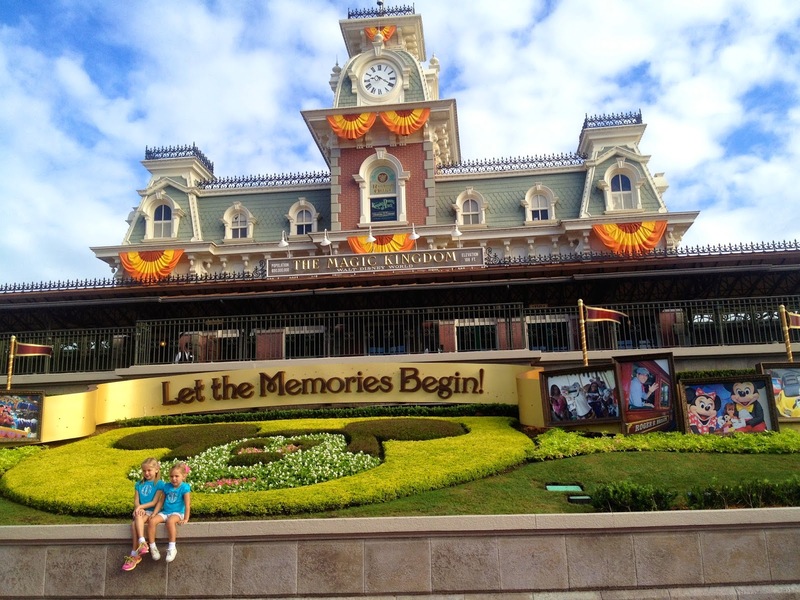 With all the commercials about the new park opening, I wanted to share our trip from October 2013 so I could reminisce. We decided we were going on Thursday afternoon. That doesn't leave much time for planning a hotel, but we quickly booked one online using Priceline and it worked out very well for us. We drove down Friday night and arrived just before midnight, but we were all up bright and early full of anticipation on Saturday morning. 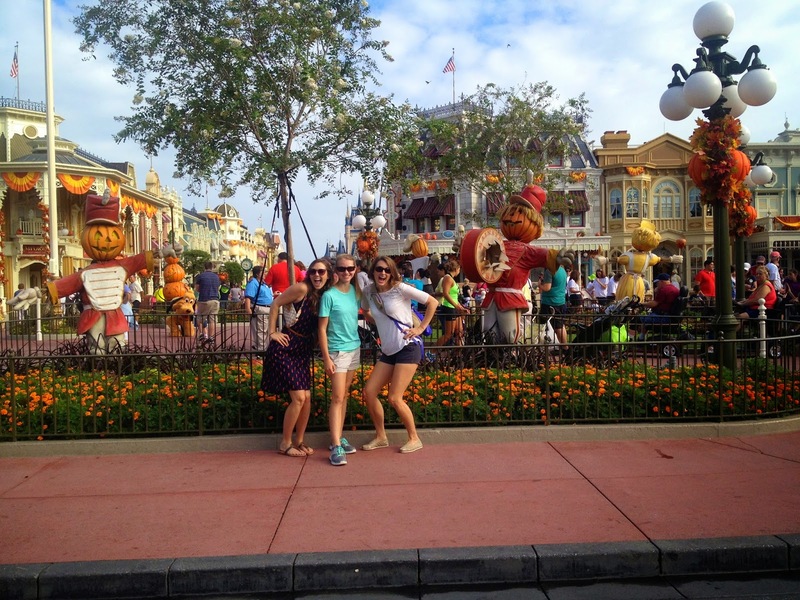 It was our first time seeing the park decorated for Halloween! While waiting on our fast passes for Space Mountain, we headed to shop for some goodies. I'm always on the lookout for a great new hat. We had a slight miscommunication which lead to a sword fight, but no worries it was all in fun. 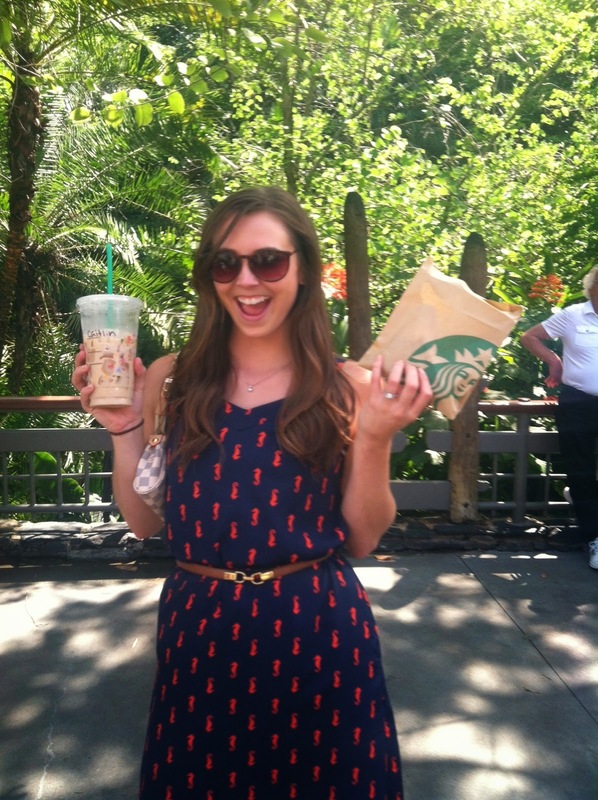 After feeding my Starbucks addiction, we were off to ride more rides. One of my favorite things from the day was the Disney decorated cups. I brought it home because it was too pretty to throw away. One thing I really wanted to do for Disney was wear a princess themed outfit that wasn't too overdone. 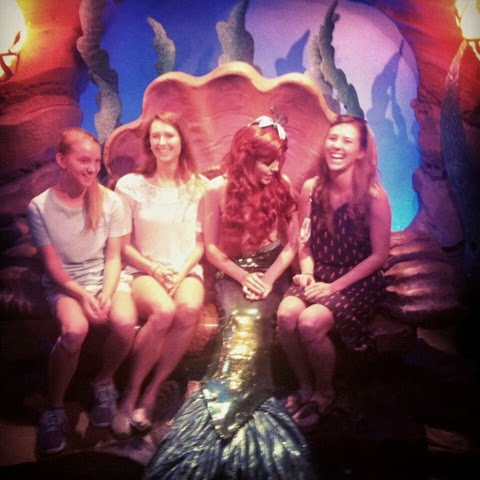 I surprisingly had several dresses that would work for different princesses, but in the end I chose the sea horse dress in honor of one of my favorite redhead, Ariel. She loved my choice, but this was honestly one of the most awkward situations of my life. She never broke character. After a day full of adventure, we headed to Toni's for dinner. Being Fall, I ordered pumpkin everything; pumpkin soup, pumpkin ravioli, and pumpkin cheesecake. 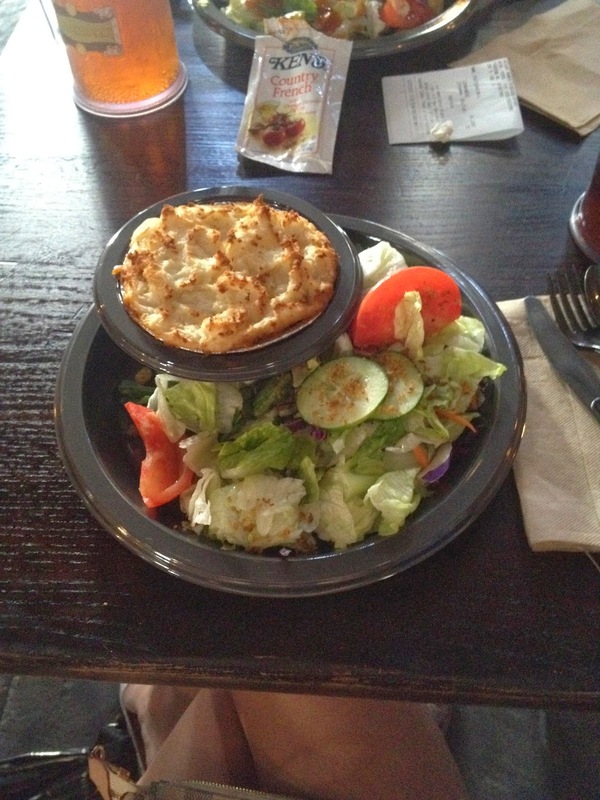 It was all very delicious and the perfect nourishment for several more hours of wandering and riding. We left as the park closed around 12am with sore feet and fun memories. 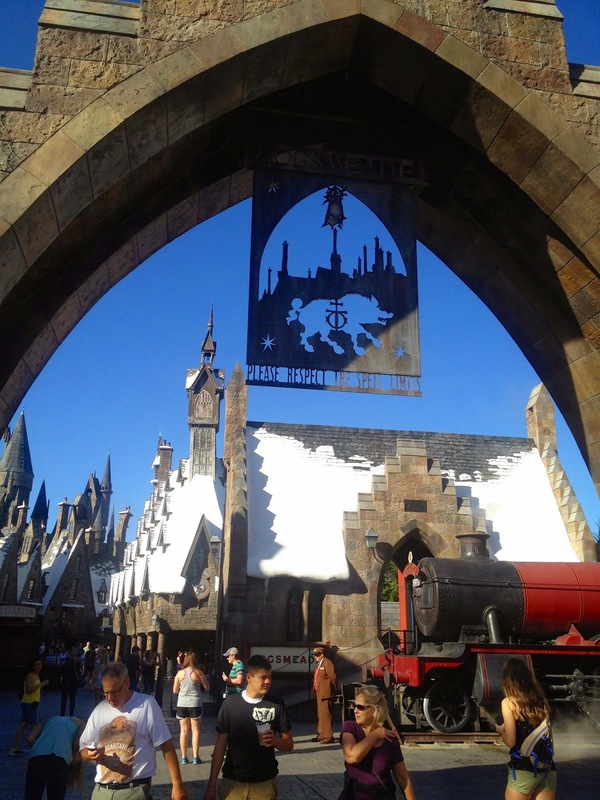 Sunday we headed out to the Wizarding World of Harry Potter in the Islands of Adventure park. 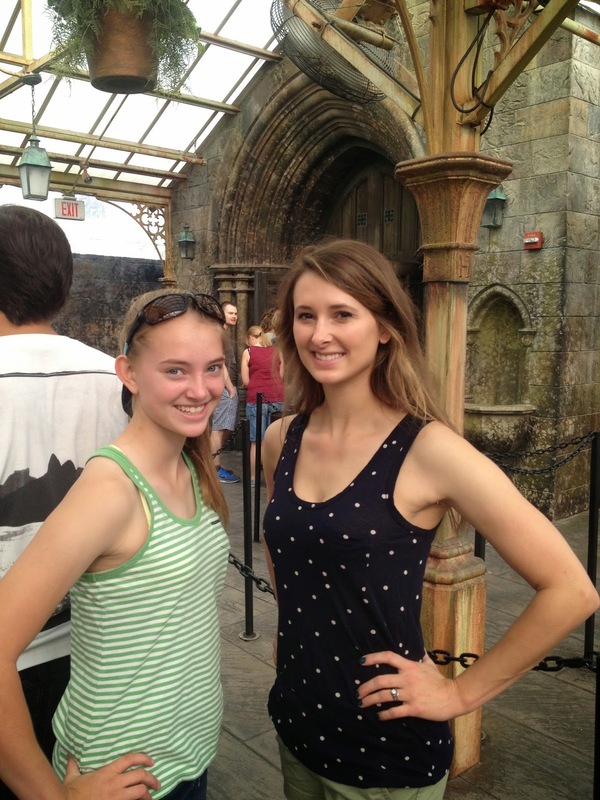 First stop was getting some Butterbeer and posing for the obligatory sister photos. Sirius Black has escaped from Azkaban?! Luckily we didn't cross him while we were there, maybe he was off chasing Peter Pettigrew. 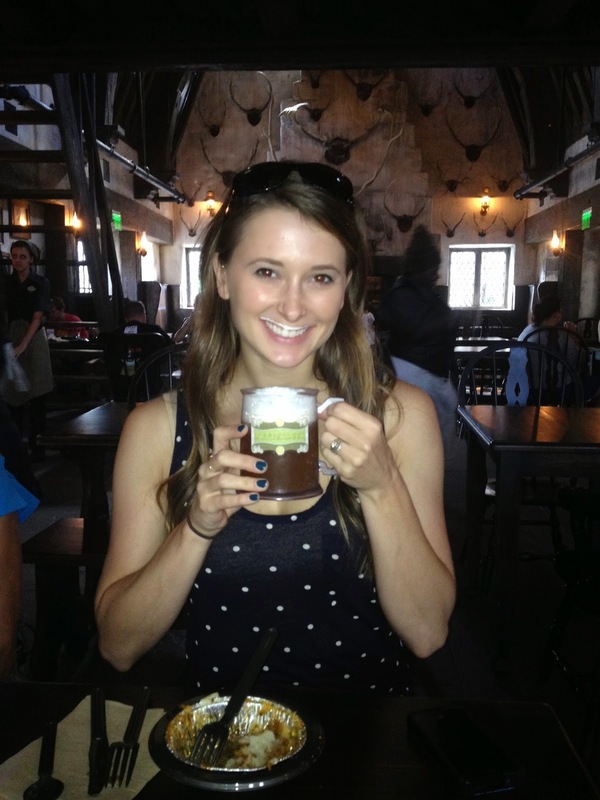 As we were finishing our Butterbeer we headed to the castle for one of our favorite rides and some time frolicking through the Hogwart's castle. 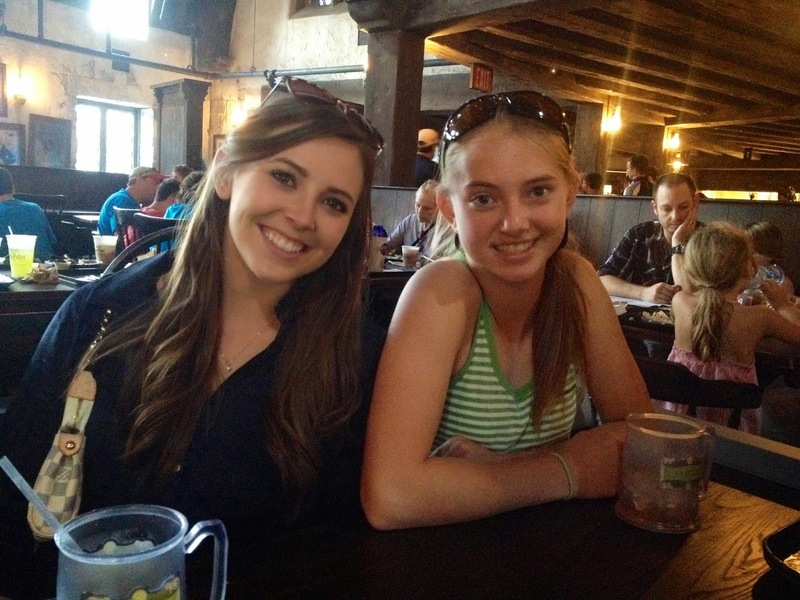 After a few rides, we enjoyed an "English" meal the the Three Broomsticks. 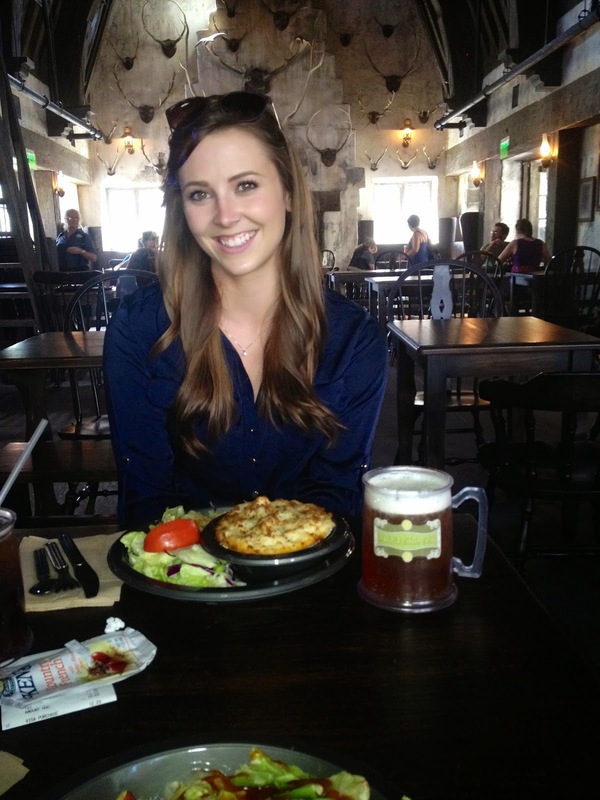 I had the Shepherd's pie and ate the whole thing. 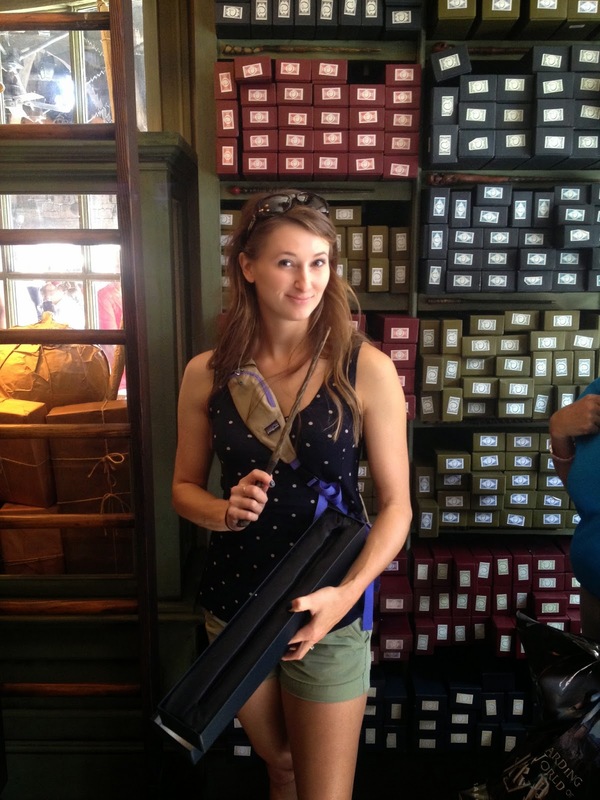 We saw some threatening shadows so I brandished my wand to keep us safe. 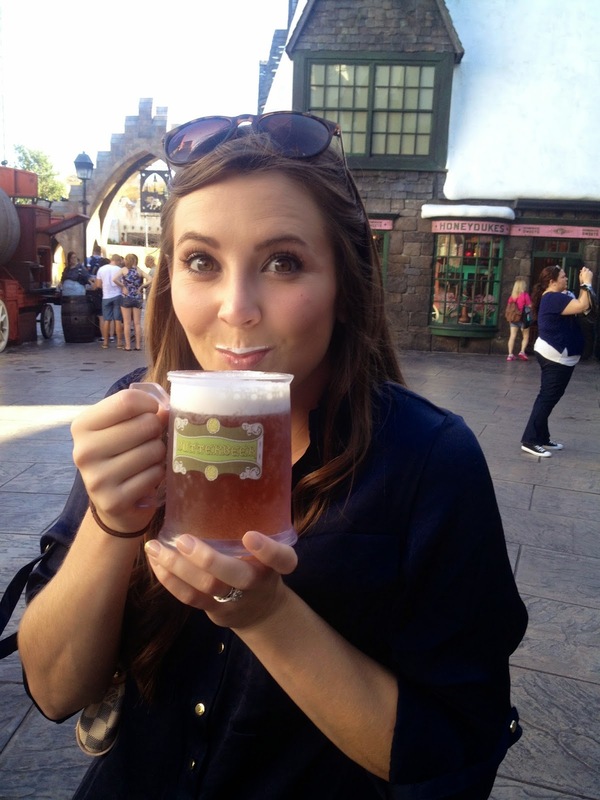 And then we enjoyed more Butterbeer. Gotta get your fill while you're there! 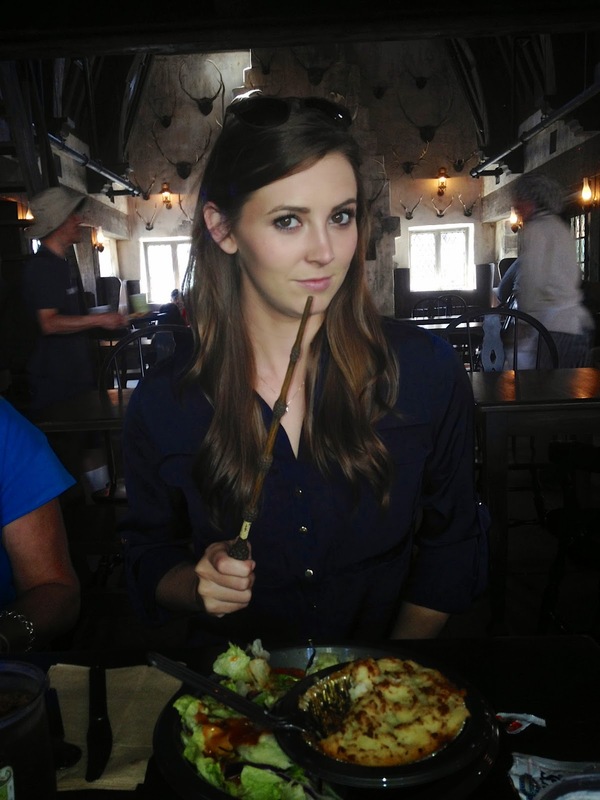 After lunch, my older sister decided it was time to let her wand choose her. 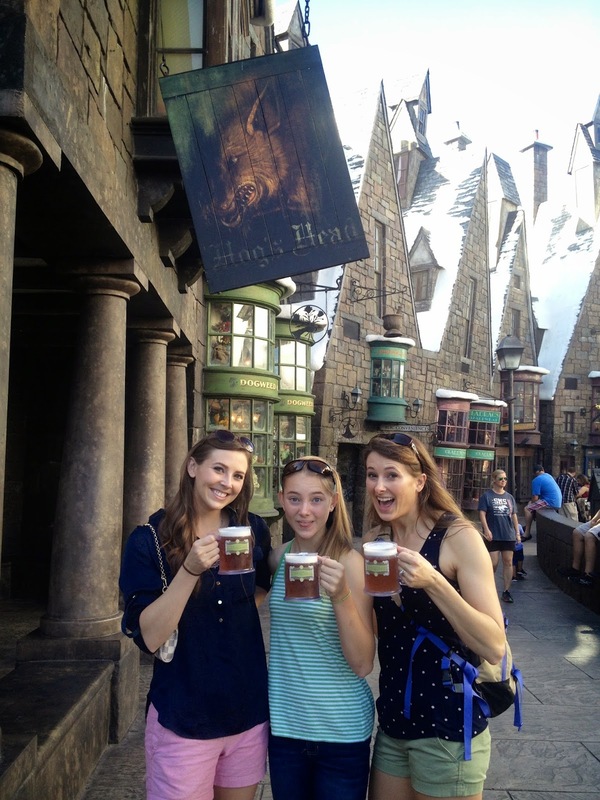 A few hours, several Butterbeer, and roller coaster rides later, it was time to head back home. 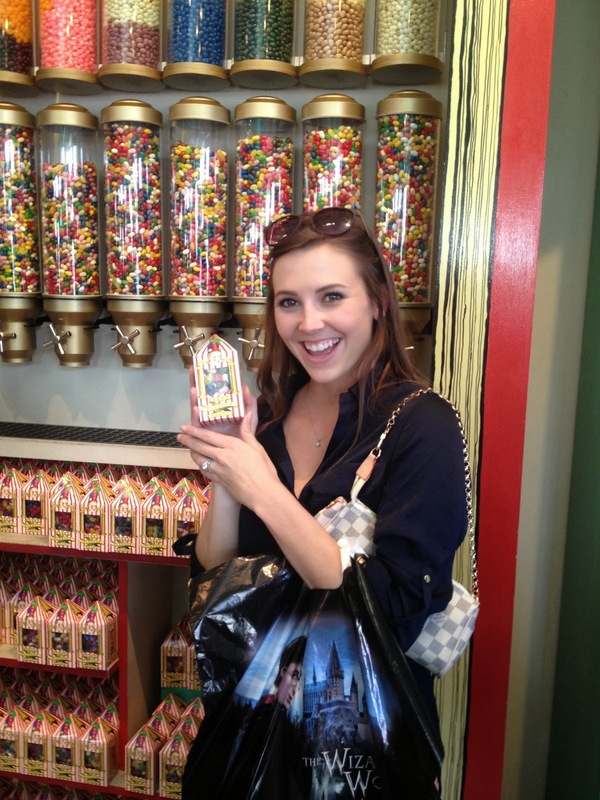 But we wouldn't dare leave without first stopping by Honeydukes to get some treats for the ride home. 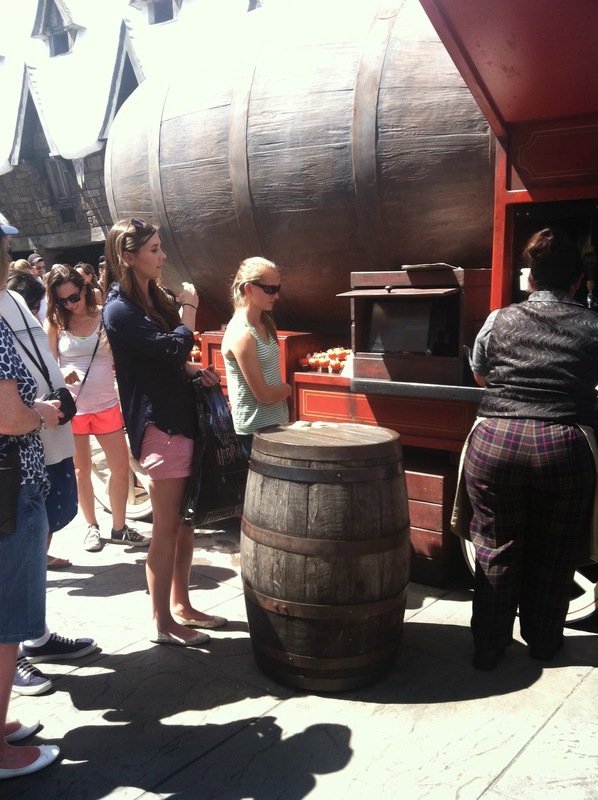 And maybe one more Butterbeer just for good measure. 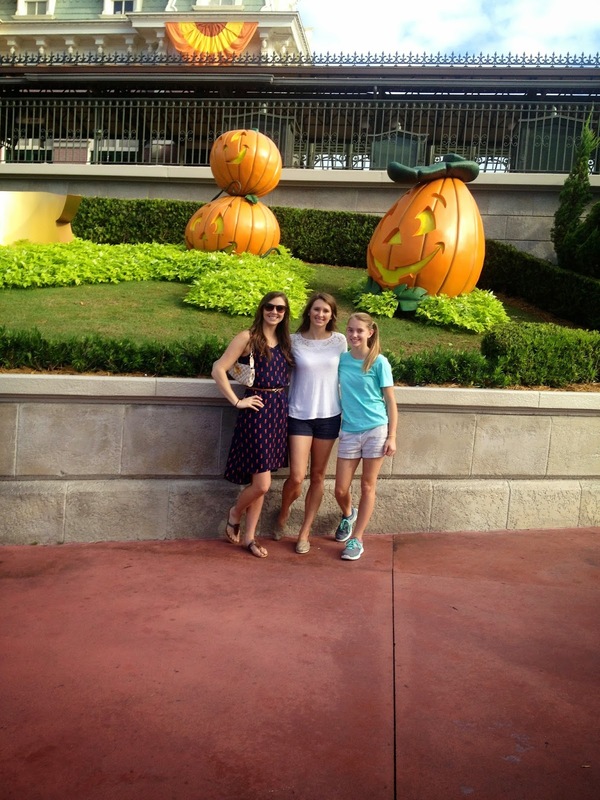 I have a total love affair with Disney! Tyler proposed at Epcot, so naturally it is my favorite park!! 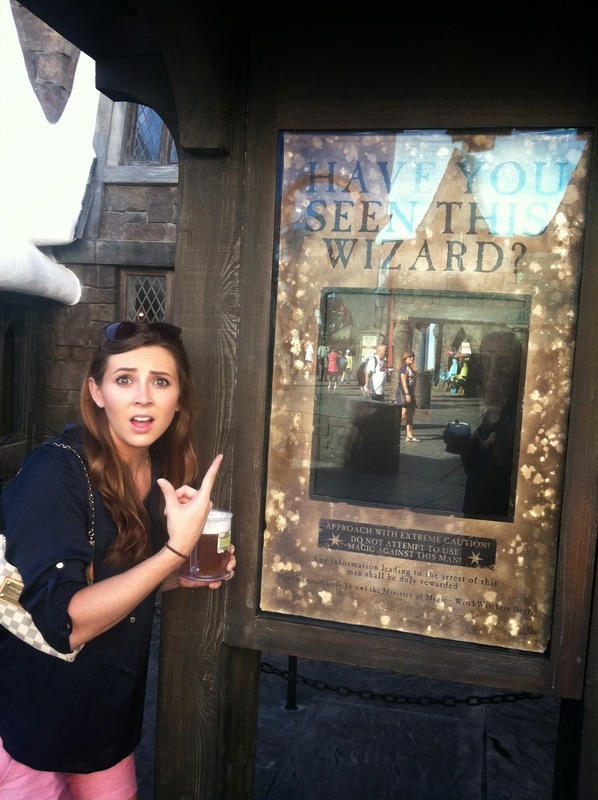 I am dying to go to HP world! The fiancé & I went to Disney last October as well & I decided that, that is the BEST time to go! The weather was perfect! 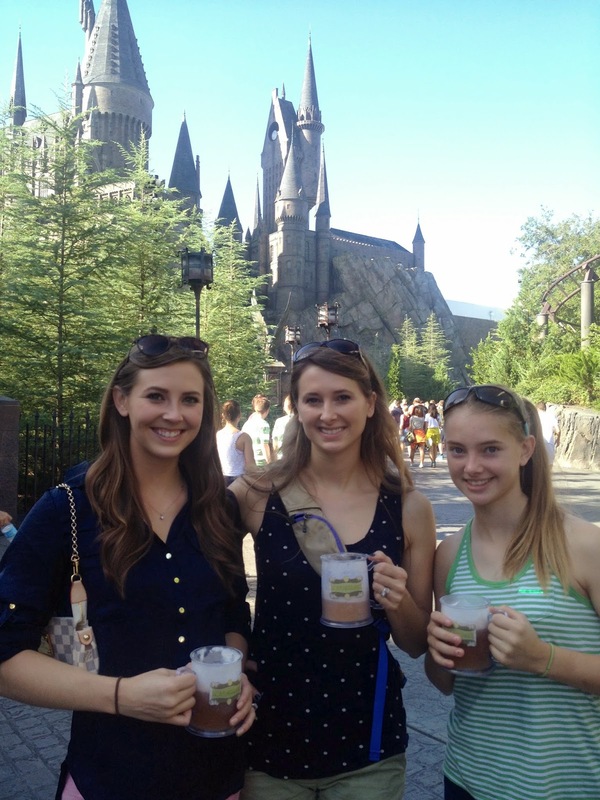 We're headed there again this October & plan on hitting up Harry Potter World as well! 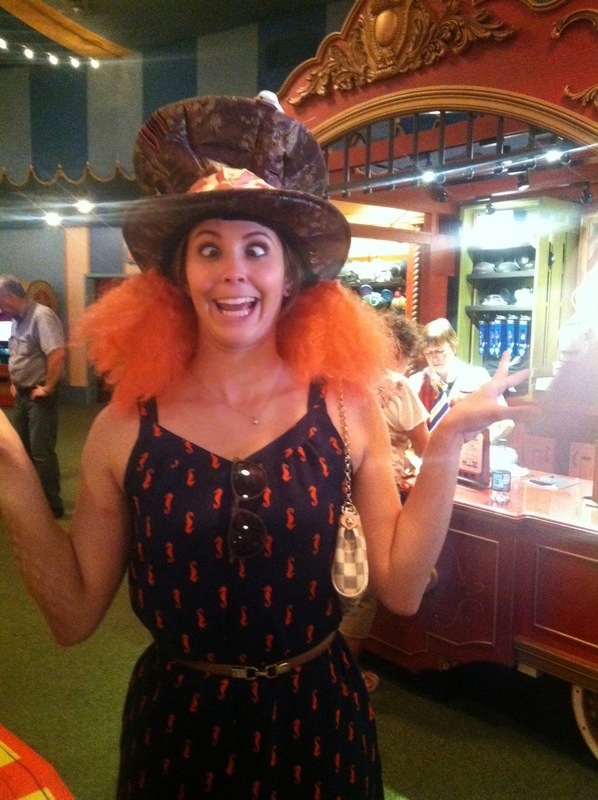 I'm absolutely "mad" about your hat, Caitlin! 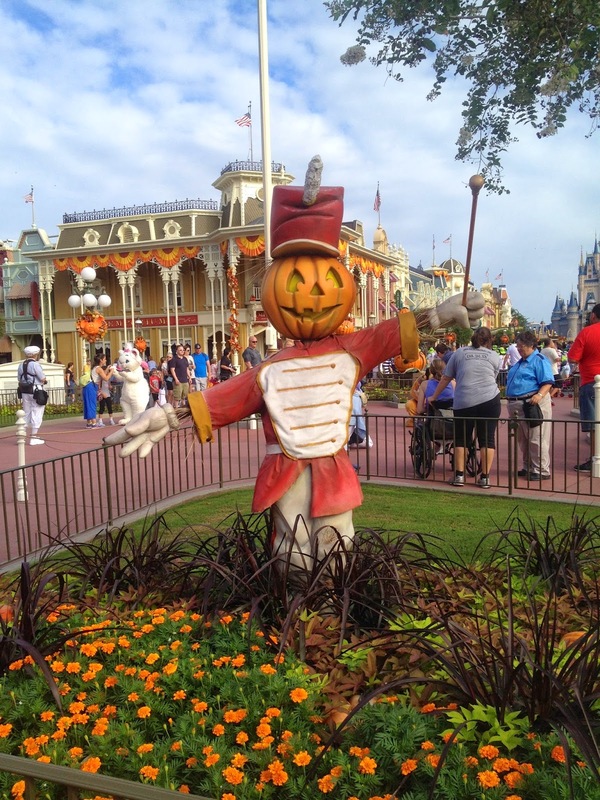 ;) Halloween time is my favorite time to visit WDW!! We were there Sept 19 - Oct 5th ...just missed ya. 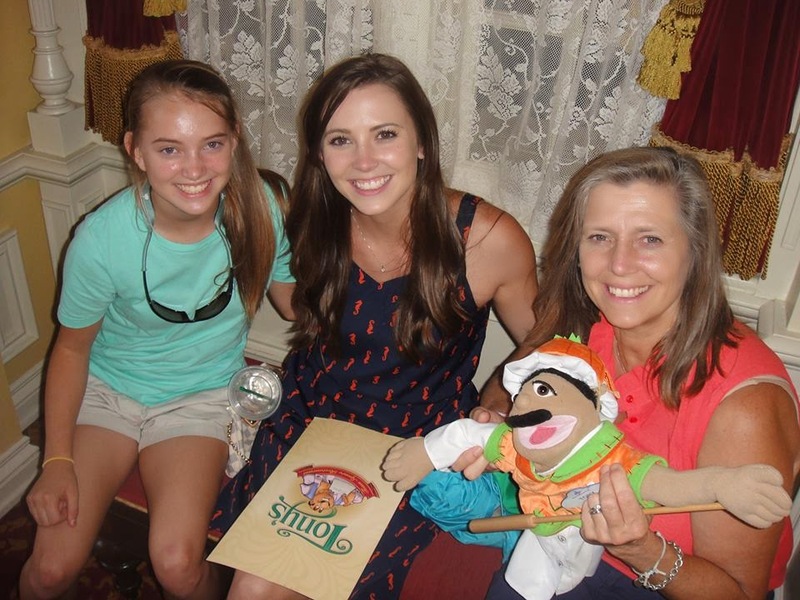 :) Looks like you and your swashbuckling sisters & mom had a fabulous vacation! Loved this post! Thanks for sharing! !